These examples reflect a perspective that is short-sighted and can be detrimental to the success of your business and employees. For culture change to have a chance of becoming contagious, leaders should more deeply understand how business needs and the human experience of change can work in concert. Together, these two can help navigate change pitfalls. More on those in a moment. It is a physiological response to see change as a threat. When you announce, for example, that your culture needs to evolve, upon hearing the news, employees will have an emotional reaction to the announcement. The brain will immediately evaluate the information to determine whether it is a threat. The part of the brain that responds to the change is the amygdala. This region of the brain prepares the body for a fight-or-flight response. This is your body’s reaction to change. The simplified explanation above gives executives a critical insight into understanding their employees’ response to change. It is a mental short to assume employees’ resistance is an outcome of their personal feelings about the executive or personal attachment to what will change. It’s a slippery slope down a long rabbit hole to come to and believe such conclusions. It will derail your progress. Announcing change at an event won’t only trigger employees to roll their eyes; they see it as the start of a long slog that yields more chaos than clarity. 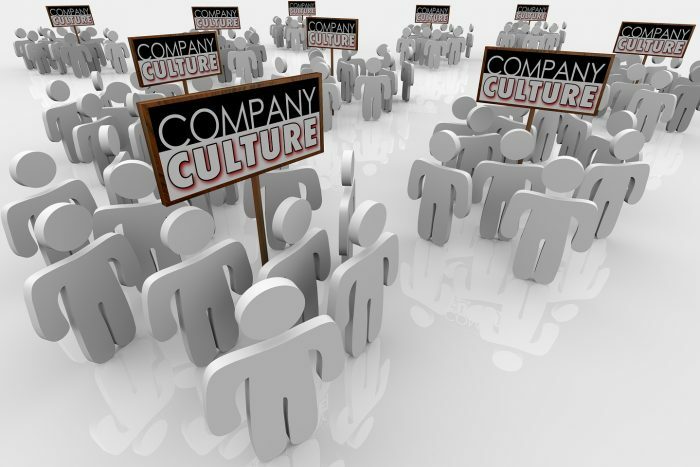 When you decide to initiate culture change, it’s likely a byproduct of careful consideration and conversations with your team. The change becomes rational to you. Steven Pinker calls this “the curse of knowledge.” Pinker, a Harvard psychology professor, defines this as “a difficulty in imagining what it is like for someone else not to know something that you know.” The more you think about the need for change, the harder it is for you to relate the information to others who will hear the news for the first time. To help avoid this pitfall, use stories to help employees connect to the need for change. Paul Zak, professor and Director of the Center for Neuroeconomics Studies at Claremont Graduate University, explains that when we hear a compelling story, our brain releases oxytocin, also known as the “love drug.” This neuropeptide is released in the brain and helps us to see people as more trustworthy. What’s more, Zak writes that it helps us to see people as “generous, charitable, and compassionate,” and makes us more sensitive to engage to help others. Businesses are made up of micro-cultures and micro-climates. This includes networks and coalitions of employees that are not visible on the organization chart. Do not ignore the informal organization. When you begin to socialize the need for culture change, involve those who are part of networks and coalitions. A partnership with influential people and groups will help you make momentum and progress. A word of warning: Be mindful that not all who fall into the informal organization will be willing to partner with you. Don’t get caught dealing with their resistance before engaging those who are willing to listen and partner. It will create a serious drag on momentum. This article first appeared on Constructive Culture.